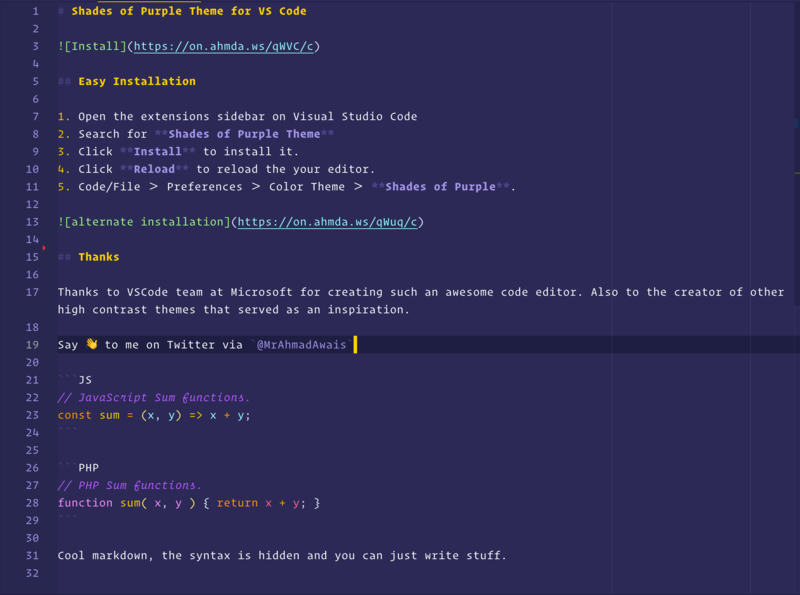 Visual Studio Code>Themes>Shades of PurpleNew to Visual Studio Code? Get it now. NEW: Dockerfile, TOML, & YML syntax colors. 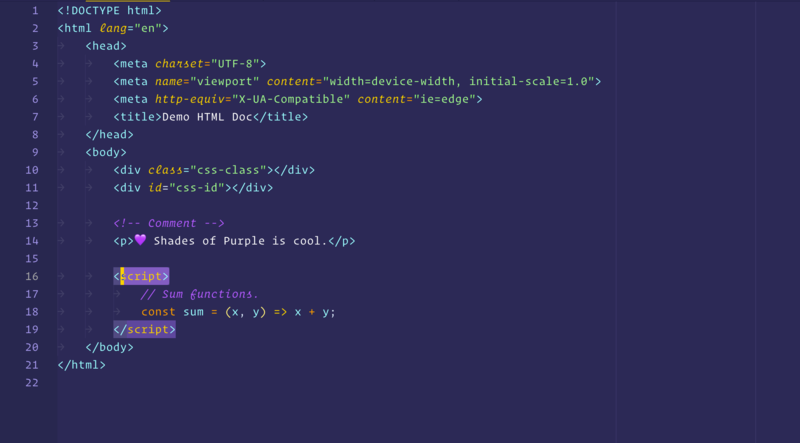 Code/File ＞ Preferences ＞ Color Theme ＞ Shades of Purple.  Rate five-stars like 75+ awesome devs to appreciate the effort behind this theme. Launch Quick Open using Cmd+P — or — Ctrl+P. Click Reload to reload the your editor.  Rate five-stars like 55+ awesome devs to appreciate the effort on this theme. You can also use a custom VSCode Shades-of-Purple icon that I created based on the work of VSCode Icons. // SOP's highlight matching tag setting. "backgroundColor": "rgba(165, 153, 233, 0.1)"
// SOP's Import Cost Extension Settings.  Matching styles for the “Highlight Matching Tag” extension? 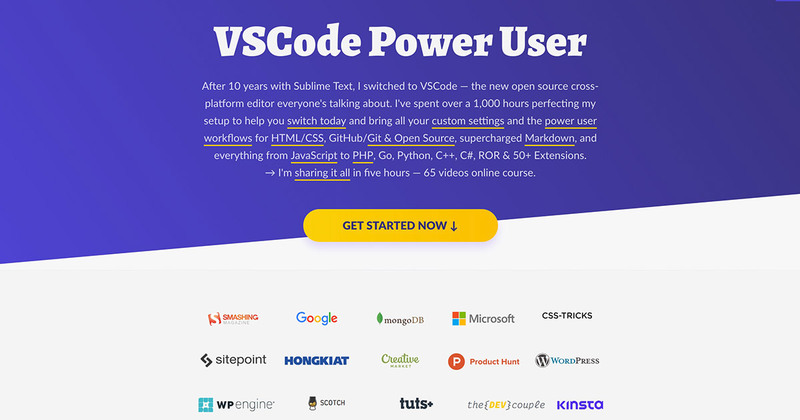  Can you share your VSCode Power User Setup? 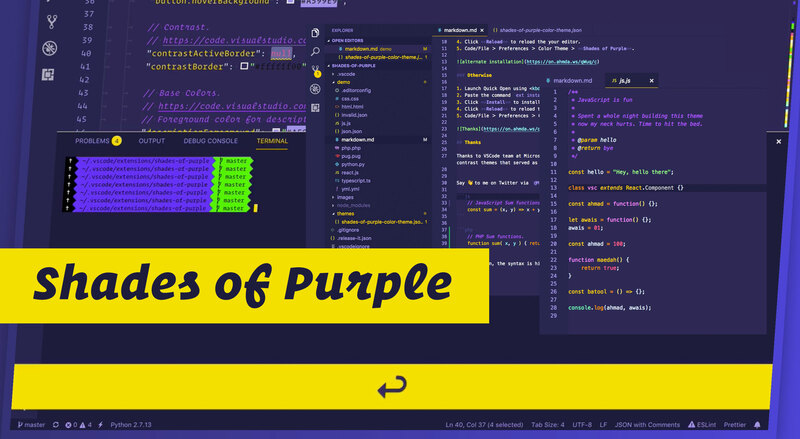 I have built other Shades of Purple themes for different software. Here's a list. Shades of purple theme is built with several shades of purple and a few contrast colors to make things pop. 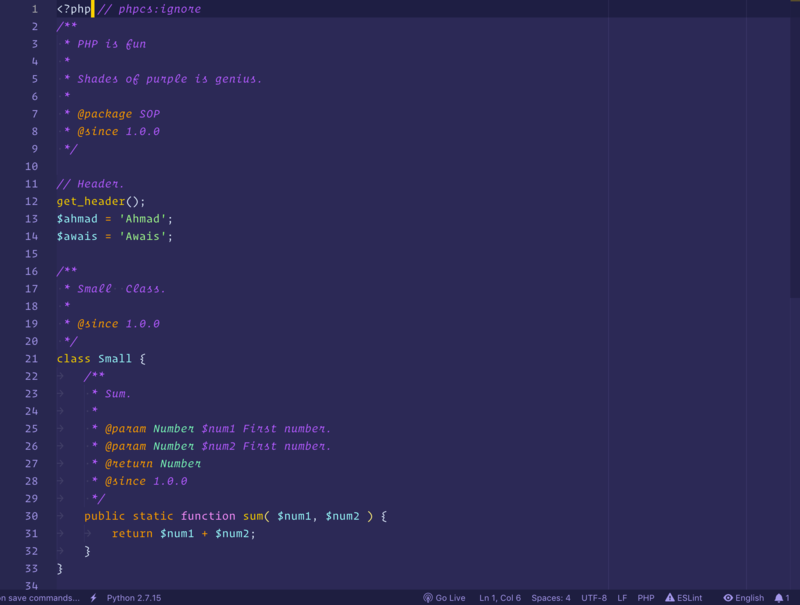 This also makes SOP a very good theme for teaching, presenting, and using on your site via Prisma or HighlightJS. A rough collection of important colors in SOP theme is listed below. 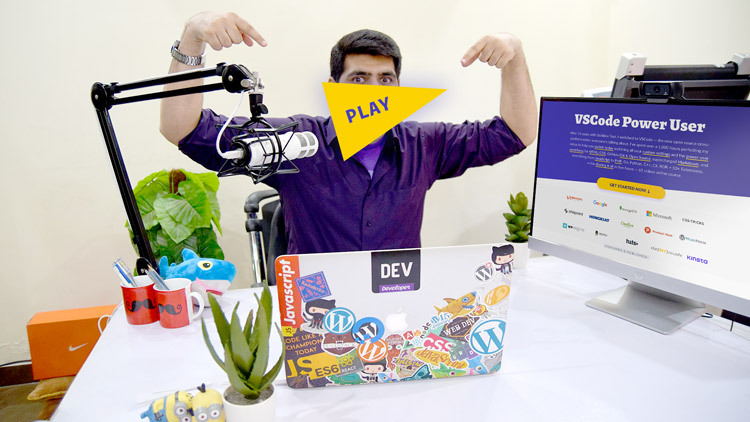 I (Ahmad Awais) am a Full Stack Web/JS Developer, OSS Dev Advocate, and a core developer at WordPress. My significant other (Maedah Batool) is a Technical Project Manager, and she's also a WP Core Contributor. Together with our team, we run the Dev Couple blog. Support our Open Source Projects! Licensed as MIT ⓒ Ahmad Awais. 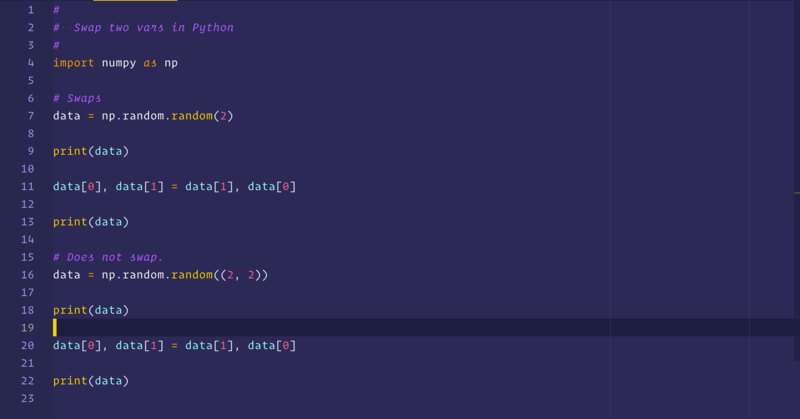 Thanks to VSCode team at Microsoft for creating such an awesome code editor. Also to the creator of other high contrast themes that served as an inspiration. 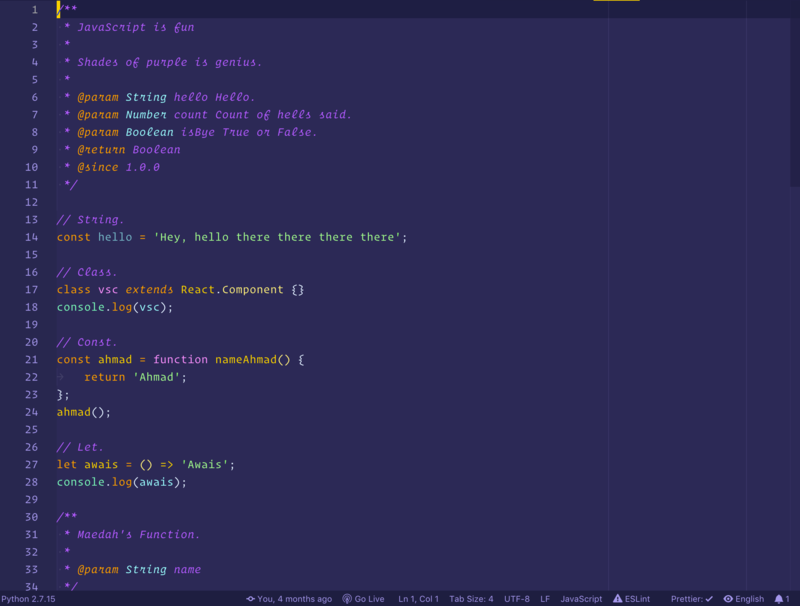 This theme takes inspiration from many VSCode themes including but not limited to Cobalt themes by Roberto Achar, Ayu, Palenight themes, Dracula themes, etc. VSCode and Icons8 for the icons in this readme.